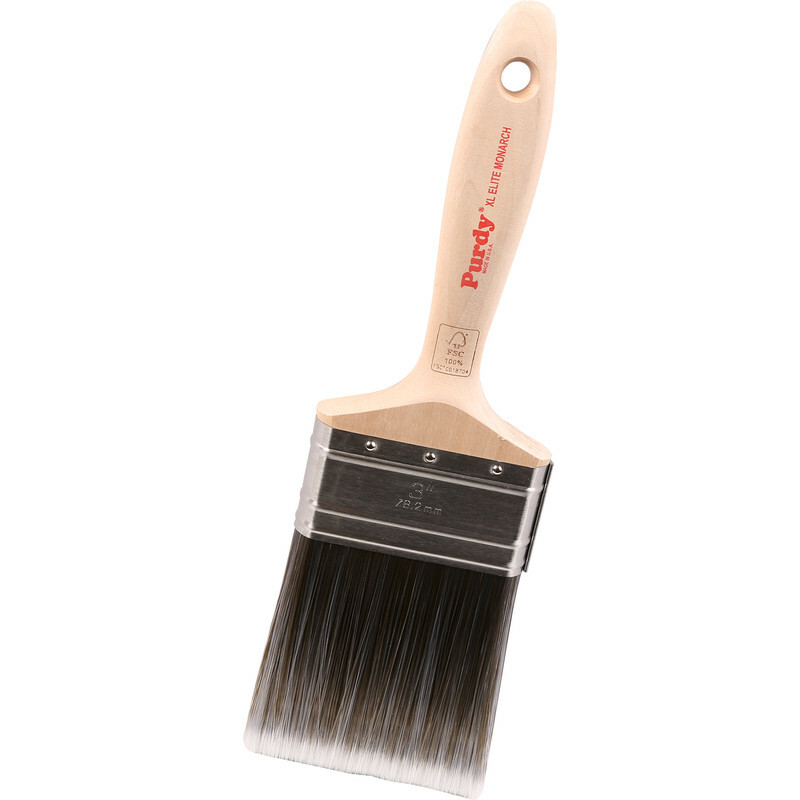 Purdy Monarch Elite Paintbrush 3"
Picks up and releases more paint than other brands for greater job productivity. Thicker filaments work best with thick coatings like emulsions. Hand made in the USA. Purdy Monarch Elite Paintbrush 3" is rated 5.0 out of 5 by 2. Rated 5 out of 5 by Ricard from Reliable quality. Yes these Purdey brushes are good but far less expensive brushes are worth trying so I figure Purdey prices will drop or they pushed out. Rated 5 out of 5 by Ricard from Not sure they are worth all that extra. I've been using Purdue brushes for 15 years. Back then it was no contest but now there are lots of good brushes with similar performance at a lot less money.